Anime girls have all sorts of accessories and visual effects to give them personality. Glasses, cat ears, maid uniforms, pigtails, you name it. 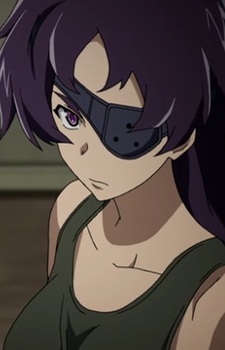 But the eye patch is among the most underrated accessories in anime. And an eye patch on a girl can mean any number of things. It could mean she’s a badass, it could mean she has a traumatic past. In some cases, they might just be wearing it because they’re a little odd. But motivations aside, here are 10 of the coolest girls to sport the eye-patch look – and surprisingly, not a single one of them is a pirate. Go figure. For someone who starts out trying to blow up an entire school full of kids, Minene Uryuu becomes an incredibly sympathetic character as the events of Mirai Nikki unfold. 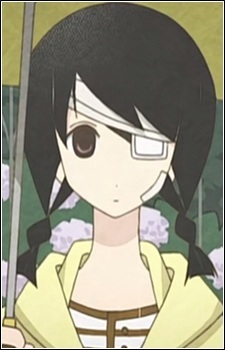 And unlike a lot of characters on this list, Minene doesn’t start out with an eyepatch. 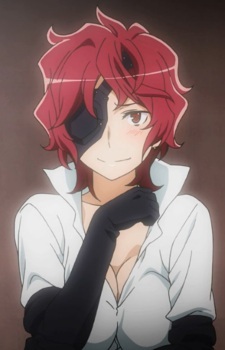 You see exactly what happens to her left eye in the series, and that makes the eyepatch itself that much more significant as you get to know her. Not quite a protagonist, not quite an antagonist, Minene acts as sort of a rogue agent throughout the survival game. She will help Yukiteru when it suits her, but she’s also prone to freelancing. Minene has clear, sympathetic motivations but often questionable methods. Those aspects of her personality combine to make her a one of the more complex characters you’ll see. You kind of want to root for her, but you also cringe when she’s successful. 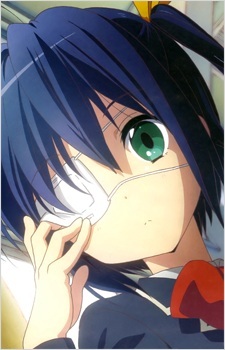 Rikka Takanashi is an unusual girl. 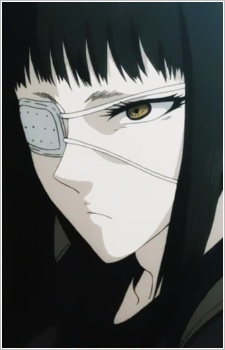 She wears her eyepatch because she claims her right eye holds a terrible, dark power, contained only by her pure maiden’s heart. 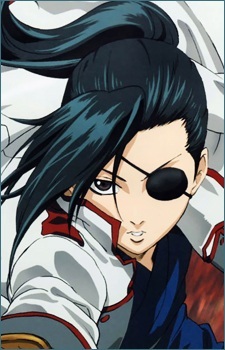 So, you know, she keeps the eyepatch on for the good of the world. So Minene’s eye patch was there to cover a lost eye. Rikka’s was there simply out of delusion. What can we expect from this? 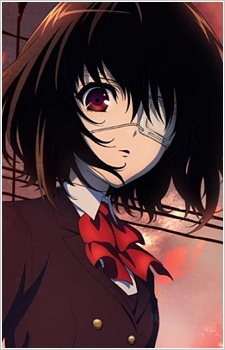 Well, Mei Misaki’s eye patch is definitely covering something special. But the mystery of exactly what is one of the major components of Another. Just know that she has something to hide under that eyepatch, she’s a pretty creepy character, and is known as the one that “does not exist. Sofia Valmer, better known as Valmet in the series, is a former Finnish officer who lost her right eye on a peacekeeping mission in Africa. Because of this, she feels extremely uneasy anytime she sets foot in Africa. But despite her traumatic past, she tends to keep a pretty upbeat personality. 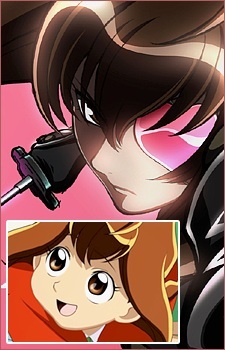 She is in love with Koko, her boss, and has remained a talented fighter with knives. So she’s doing okay. Okay, so what if the eye patch isn’t hiding anything? 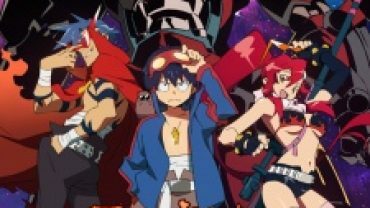 What if, instead, the eye patch is a transformation mechanic? And heart-shaped! That’s what we have here. Kiyu Nanohana is just a normal, albeit popular, 14-year-old girl. But when she dons the eyepatch, she becomes the reincarnated soul of Yagyū Jūbei Mitsuyoshi, one of Japan’s most famed samurai. But why would she need to do that? Well, naturally, there’s a rival clan that has a centuries-old score to settle with Jubei, and she needs to fight them off regularly. Because she’s always heavily bandaged, friends and classmates often fear that Abiru is the subject of domestic violence. In actuality, she just has an obsession with pulling animal tails, and that leads to situations where she needs bandages, as you would expect. Well, that’s some of the time. She also admit she often just wears the bandages for the attention. First off, Hephaistios is sporting one of the coolest designs for an eye patch you’re going to see. And second, she’s a magical blacksmith goddess. She doesn’t have the biggest or most important role in the series, but shut up, she’s a magical blacksmith goddess. She also helps Hestia and Bell by forging a dagger for Bell that grows in strength as he does. And since Bell’s whole thing is a rapid growth rate, she effectively is responsible for destroying the balance of the universe. Like Minene Uryuu, Hilda spends the entirely of the series popping up at key moments and switching sides. 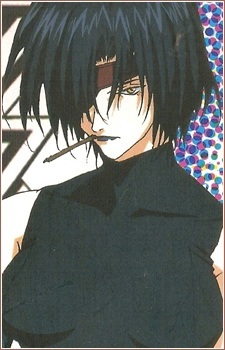 There’s no denying she’s cool, though, as she spends most of the series as a cool rival character. She isn’t a pirate, but she killed one of the leaders of the Pirate Guild. That’s what cost her an eye – and an arm. There’s a lot to Shimei Ryomou. Her left eye contains the soul of a dragon, for starters. 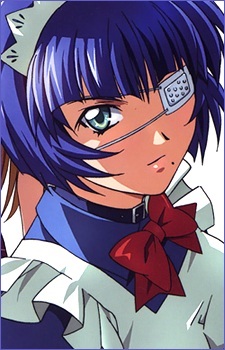 She’s a B-rank fighter in the Ikkitousen universe, and has a bit of a split personality. One of those personalities is a psychosexual battle freak. 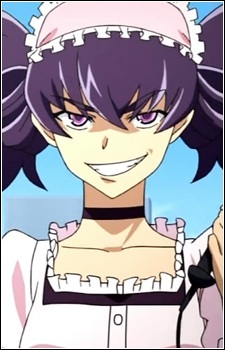 The other is a shy, demure girl who wears a heart-shaped eye patch and works at a cat maid cafe. Ikkitousen is a weird show. The second overt reference to legendary samurai Yagyū Jūbei Mitsuyoshi on this list, Kyuubei was raised as a boy to satisfy his family’s need for an heir. She is androphobic and recoils at even the slightest touch of a man, but doesn’t mind touching anybody with her skilled swordsmanship.